Figure 15.8. 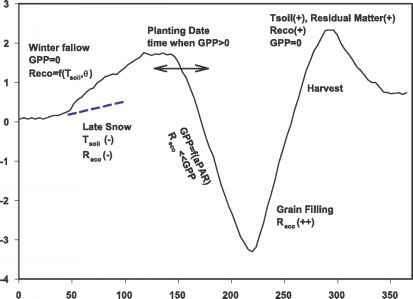 Seasonal variation of net CO2 exchange of an agricultural crop. 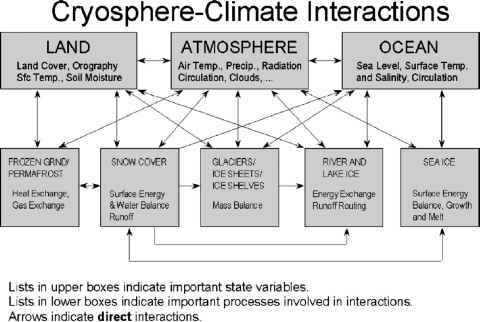 Also shown are the environmental and biological factors that affect the seasonal dynamics of CO2 exchange. Data sources: Desjardins (1985); Baldocchi (1994); Rochette et al. (1995); Hanan et al. (2002); Gilmanov et al. (2003); Verma and Sukyer, AmeriFlux (AmeriFlux data archive http://public.ornl.gov/ameriflux/Participants/Sites/Map/index.cfm).